Imagine that it is day one in a post-peak oil world. We have neglected the oil scarcity issue and failed to make all necessary preparations, especially at the international level. We face the urgent need to re-orient our global institutions in order to respond effectively to the challenges of a world where oil supplies are limited. This is not going to be easy. It is imperative that we retain a cooperative international atmosphere, and avoid slipping into protectionism, resource wars or a global meltdown. The answer is yes. In part, this article was inspired by the work of Alex Evans and David Steven at Global Dashboard and their insightful March 2009 paper entitled An Institutional Architecture for Climate Change. It is plausible that this idea of a new operating system would work in the post-peak oil world and it mirrors the thinking behind Our World 2.0: we see the need for a major upgrade of the current operating system underpinning global energy. So what about the current OS? The current international architecture for energy (not just oil) is dominated by energy consumers through the International Energy Agency (IEA) and the producers via the Organization of the Petroleum Exporting Countries (OPEC). These are the world’s two main energy players. The IEA describes itself as an energy policy advisor to 28 member countries [basically the members of the Organisation for Economic Co-operation and Development (OECD) minus Iceland and Mexico]. This is a collection of rich countries, but excludes many major economies, in particular the fast-growing developing economies Brazil, Russia, India and China. The IEA collaborates with, and reaches out to these non-members and to OPEC countries. OPEC brings together 12 oil and gas producing countries in the Middle East, Africa and South America including Iran, Iraq, Saudi Arabia, Venezuela and Nigeria, so that they can coordinate their oil production policies and achieve a reasonable rate of return on their investments. There are also many major oil-producing nations who are not part of OPEC including Russia and Mexico. Interestingly, the United Nations has a limited mandate on energy issues — although many UN bodies do include energy-related activities in their portfolio (see the UN-Energy website for more information) — with the International Atomic Energy Agency as one key exception. There are several other small and new players. The International Renewable Energy Agency (IRENA) looks like an important recent addition, with 110 signatory states as of June 2009. This agency aims to become the main driving force for promoting a rapid transition towards the widespread and sustainable use of renewable energy on a global scale. How to upgrade the OS? By the time we reach global consensus that peak oil has happened (be it now, 5 years from now or much later), we may also have realized that the current energy institutional architecture is something of a poker game between IEA countries and OPEC countries. National sovereignty and security interests dominate for easily understandable reasons. Barring the discovery of some kind of “super fuel” replacement or the dramatic global transition to renewable energy, humanity may have to face a resource-shrinking world at some point. A new institutional framework or operating system would therefore be advisable. Fortunately, some people have been thinking about this and we would like to introduce two examples here. International Energy Transition Agency: a UN agency similar to the UN Framework Convention on Climate Change or the International Climate Control Committee recommended by Evans and Steven. That is, an agency with a “robust surveillance mandate to report on national performance”, using Evans and Steven’s words, in the energy transition. International Energy Fund: modeled on the International Monetary Fund, to coordinate the funding of renewable energy sources worldwide (although this could be done by IRENA, mentioned above, unless it functions instead as a technical agency) and to support economic restructuring for reduced oil and gas intensity in OECD countries. The role of the latter links closely to a 2003 proposal put forward by peak oil experts Colin Campbell and Kjell Aleklett. Their Oil Depletion Protocol argues that an agreement is required so that, in the face of peak oil, profiteering from oil shortages is avoided, allowing poor countries to afford their imports and averting destabilizing financial flows that arise from excessive oil prices (note the 2008 experience with oil price spikes as an example). 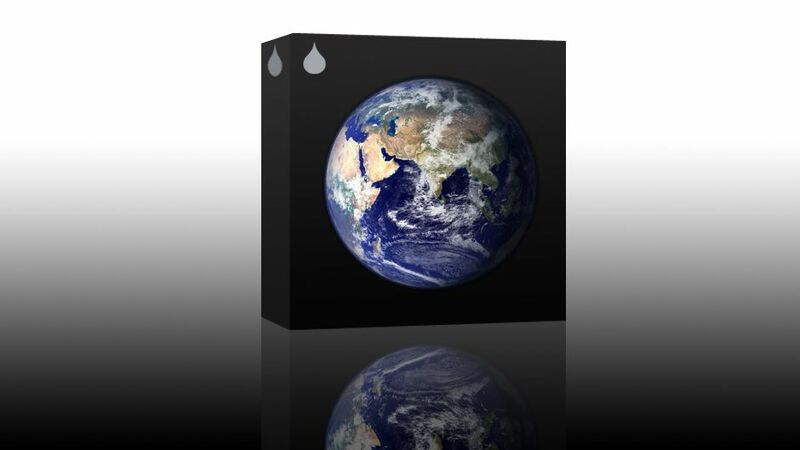 The Oil Depletion Protocol is very short and worth reading. It is also known as the Rimini Protocol and the Uppsala Protocol. “This is just not going to happen!” you may be thinking for a variety of reasons. The first is that you probably don’t think that peak oil is anything more than a theory. In which case, it would be a good idea to do your own research. Second, even if we face an oil availability problem, there is no need to worry because we will find alternatives, we always have. After all, humans found coal to replace wood and then oil to replace coal — so finding something to replace oil with should be easy, right? Again, look into it further. Third, ok, so you have seen enough evidence to be concerned about peak oil and energy scarcity in general, but you are not convinced about all these new agencies and particularly not about controls on oil prices. That sounds crazy. How would Saudi Arabia, Russia and any other oil-producing nation ever agree to such a thing? What are the other options? Fourth, you understand the need for all this but don’t believe countries can negotiate something so quickly. For instance, it took five years to negotiate the Kyoto Protocol, with another four or so to fill in the details. Very true. But, what if countries were put in a truly desperate situation with immediate consequences for inaction? The important point here is that there is a lot of sense behind the general idea of designing a new operating system for energy policy. It is clear, for instance, that greater regional cooperation is going to be essential in design and implementation of large renewable energy schemes that tap solar and wind energy from the best locations and share them with those locations less well placed. Re-designing institutional structures ahead of time, and pushing nations (albeit uphill) to cooperate and work together seems far less scary, in our view, than the alternative of ignoring the energy scarcity question and therefore, at the same time, the climate challenge. It is always advisable to plan for the worst, even if you do hope for the best. New Operating System for Post-peak Oil Age by Brendan Barrett is licensed under a Creative Commons Attribution-NonCommercial-ShareAlike 3.0 Unported License.